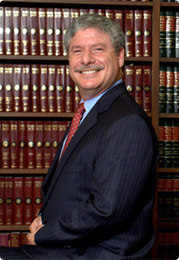 Attorney Michael Kessler has practiced criminal law in Florida since 1985. He is a Board Certified Criminal Trial Lawyer, a founding member of the DUI Defense Lawyers Association and has recently started teaching a DUI boot camp for defense lawyers in Fort Pierce. He is a founding member of the Saint Lucie County Association of Criminal Defense Lawyers and co-author of the Florida section of The DUI Book. Attorney Kessler’s thorough, exhaustive, meticulous approach, exceptional skill, and dedication uniquely qualifies him to represent clients not only facing DUI but also drug charges, domestic violence and assault. Kessler: The DUI Attorney You Want on Your Side. He has the certifications and experience you want in a defense attorney. He even owns his own breathalyzer, the official one the State of Florida uses. Contact us immediately to schedule a FREE Consultation 772-466-4900. Attorney Michael Kessler has received National & State Recognition. He is your Go-to-Guy for DUI in on Florida’s treasured coast.